Ex-contractor and NSA whistleblower Edward Snowden has left the building. Well, Moscow airport's transit area, anyway. 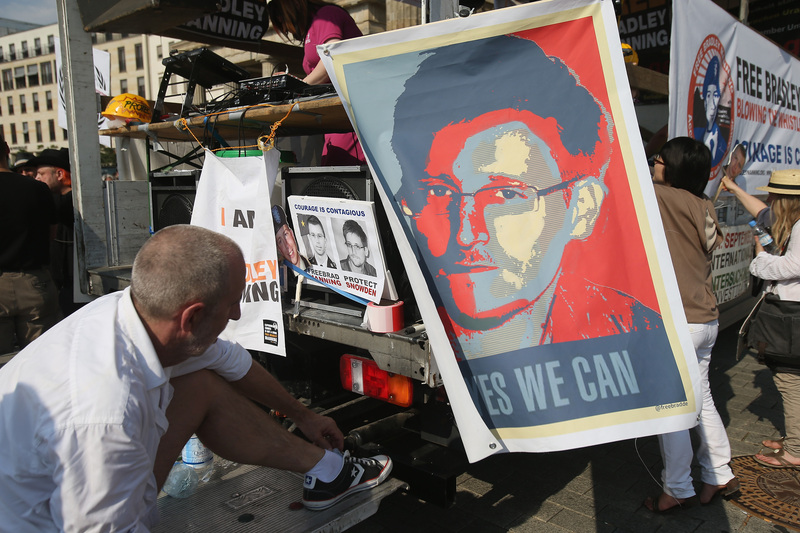 On Thursday, his lawyer confirmed Snowden finally entered Russian territory in a taxi. Snowden's lawyer, Anatoly Kucherena, confirmed Thursday that Snowden was issued papers giving him temporary political asylum for one year in the country, allowing him to finally leave Sheremetyevo Airport, where he's been trapped since his arrival from Hong Kong at the end of June. “I have just handed over to him papers from the Russian Immigration Service. They are what he needs to leave the transit zone,” Kucherena said. Kucherena also made a statement on state television later, saying: "I have just seen him off. He has left for a secure location... Security is a very serious matter for him." "Edward Snowden has successfully acquired refugee status in Russia," Wikileaks later confirmed via Twitter. Kucherena has said that Snowden's present location has not been made public and will stay secret, pointedly adding that the whistleblower is one of the most wanted people in the world. Venezuela, Nicaragua and Bolivia have all offered Snowden asylum, but it's still unclear how he would reach any of the countries without travel documents.